On October 22nd, Big Stories presented a Masterclass with Anonymous Content producer Richard Brown, the man behind HBO drama True Detective. 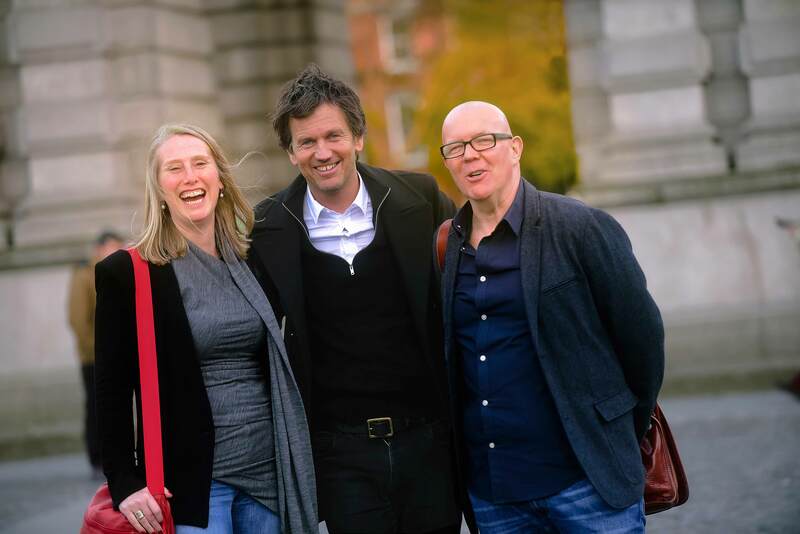 Richard took to the stage in conversation with Irish Times Culture Editor, Hugh Linehan. 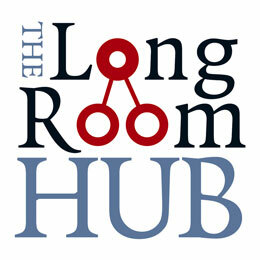 The event took place before an invited audience of ninety screen professionals in a cross-disciplinary collaboration with the Trinity College Long Room Hub. Over three hours, Richard discussed developing and producing the multiple-award-winning HBO anthology series True Detective. He outlined in some detail his understanding of the current expanding market for long-form television drama, looking at how True Detective transgressed traditional production models to find a new, more film-centric production form. He emphasised his belief that allowing one writer and one director to create a long-form drama allowed for a more authored, cinematic screen story. In this context, he described his strategy with regard to finding new material to develop, discovering the right creative voices and the right financing structures for each project. He talked about his upcoming projects including a serial adaptation of Joseph Heller’s novel Catch-22 and a new original drama serial from James Elroy, Gemstone. Richard finished his talk by expressing optimism that women’s voices and those of people of colour were coming to the fore in the newly globalized long-form arena. Richard Brown is a Scottish born NYC-based film and TV producer with production and management company Anonymous Content. Most recently, Richard produced the multiple award winning HBO anthology series True Detective. Richard began his career at Island Records in London as an A&R executive, where he worked with artists including Massive Attack, The Cranberries, Nine Inch Nails, Julian Cope and U2. He relocated to Los Angeles in 1993 where he began the transition to film while working for Nick Wechsler’s Industry Entertainment – initially creating a music department, then subsequently working as a development and production executive. During this time Richard worked on Industry Entertainment productions including Requiem for a Dream, Quills and The Yards. 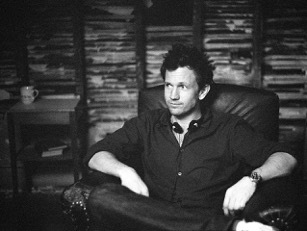 After moving to New York in 2001 Richard re-teamed with Island Records founder Chris Blackwell to head productions for Palm Pictures, where he created and produced The Directors’ Label DVD Series with filmmakers Spike Jonze and Michel Gondry. The series generated 7 editions, selling almost 2 million copies worldwide. At Palm, Richard also acquired numerous international films for US distribution. Richard joined Anonymous Content as a producer in 2006. He has worked on many films and TV series since then, beginning with 2008’s 44 Inch Chest, starring Ray Winstone, Iain McShane, John Hurt and Tom Wilkinson, and culminating in developing and producing the multiple award winning ongoing HBO anthology series’ True Detective. Richard’s current projects include a limited serial adaptation of Catch-22, written and directed by David Michôd (Animal Kingdom, War Machine), a James Ellroy original series called Gemstone, which David Mackenzie (Hell or High Water, Starred Up) will direct, a new multi season series entitled The Target, written and to be directed by Stephen Gaghan (Traffic, Syriana, Gold), and a US adaptation of the Danish TV series Follow The Money, currently being written by Oren Moverman (Love and Mercy, The Messenger, Rampart). Founded in 2000 by CEO Steve Golin, Anonymous Content is a film and television production and management company, representing directors, writers, actors and comedians. Anonymous Content has produced numerous award-winning and commercially successful films including the Academy Award®-nominated Babel, which also won a Golden Globe® Award; Winter’s Bone, which was nominated in four categories for the Academy Awards®, including Best Picture; The Fifth Estate, Being John Malkovich, Eternal Sunshine of the Spotless Mind, which won an Academy Award® for Best Original Screenplay; as well as the box-office smash 50 First Dates. The company’s recent films include Alejandro González Iñárritu’s The Revenant, starring Leonardo Di Caprio and Tom Hardy, which won 4 Academy Awards as well as the Golden Globe and BAFTA for Best Picture ; this year’s Academy Award Winning Best Picture Spotlight, directed by Tom McCarthy and starring Michael Keaton, Mark Ruffalo and Rachel McAdams, which also won the Academy Award for Best Screenplay, Triple Nine, directed by John Hillcoat and starring Woody Harrelson, Casey Affleck, Chiwitel Ejiofor and Kate Winslet; Bastille Day, starring Idris Elba; The Meddler, written and directed by Lorene Scafaria, starring JK Simmons, Rose Byrne and Susan Sarandon ; and the Sundance winner and independent hit The End of the Tour, written by Pulitzer Prize winning author Donald Margulies, directed by James Ponsoldt and starring Jesse Eisenberg and Jason Segel. Currently in production is Collatoral Beauty, directed by David Frankel and starring Will Smith, Edward Norton and Keira Knightly and Helen Mirren.The company’s television productions include the Emmy award winning HBO anthology series True Detective; the HBO / Cinemax series The Knick directed by Steven Soderbergh and starring Clive Owen and the Golden Globe winning hit hacker drama Mr Robot, which is currently in production on its second season, starring Rami Malek and Christian Slater. The current TV slate includes a limited series of Caleb Carr’s The Alienist, to be directed by Cary Fukunaga with Eric Roth and Hossein Amini on board as executive producers, Berlin Station, a drama set inside the US embassy in Berlin, directed by Michael Roskam (Bullhead), and Maniac, starring Emma Stone and Jonah Hill which recently sold to Netflix in a straight to series order. Scheduled to go into production later this year are James Ellroy’s Gemstone, a 5 part limited serial to be directed by David Mackenzie (Starred Up) and Netflix’s The OA, created by Zal Batmanglij and Brit Marling, in which Brit will also star.